The world premiere of Marvel Studios’ highly anticipated “Avengers: Infinity War,” featuring the ultimate collection of Super Heroes in one film. 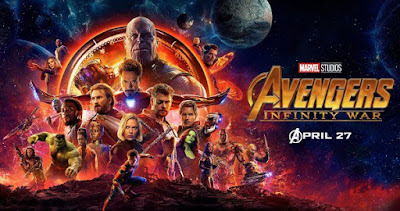 · Quicken Loans, the nation’s largest mortgage lender, is proud to team up with “Avengers: Infinity War” on a fully integrated marketing campaign – which includes in-movie product placement, a co-branded broadcast commercial and social media activations. The partnership highlights the Super-Hero-like confidence gained from using Rocket Mortgage, the country’s first and leading end-to-end customizable online and on-demand mortgage experience. This marks the big screen debut for Rocket Mortgage, which was built with proprietary technology, and created entirely in-house by the Quicken Loans technology team right in the heart of downtown Detroit. Rocket Mortgage delivers clients a full loan approval in as few as 8 minutes, all from the palm of their hand. · INFINITI is teaming up with Marvel Studios for the World Premiere of “Avengers: Infinity War.” INFINITI will display an all-new INFINITI QX50, luxury midsize crossover vehicle, on the red carpet. In addition, the ad campaign highlights several of the QX50’s “superpowers” including the VC-Turbo engine, ProPILOT Assist, and the advanced craftsmanship of the interior cabin. The all-new QX50 is the most advanced INFINITI to date. It embodies everything the INFINITI brand stands for: Beautiful design, advanced technology and empowering performance. The ad can be seen in movie theaters, on TV and Online. · Citizen is a proud sponsor of “The Avengers: Infinity War” World Premiere. Tune in to Marvel social media channels to countdown to premiere time courtesy of Citizen Watch. Watch live from the Red Carpet and check out the latest Citizen watches on the wrists of our livestream hosts. If you’re on the Red Carpet, stop and take a photo in the Citizen dedicated photo booth. · Synchrony is dedicated to supporting today’s working families and has partnered with Dress For Success to invite seven of their Success Ambassadors to “SUIT UP” for the “Avengers: Infinity War” premiere. These women have overcome obstacles to become the definition of everyday heroes. These ambassadors will be at the red carpet premiere with Synchrony and Marvel. In addition, Synchrony has made a $25,000 grant to Dress for Success to empower women to find jobs that will help them and their families become more economically secure, and Synchrony is also providing a wardrobe stipend to the Success Ambassadors so they can “suit up” for the premiere. · Dolby: Premiere guests will enjoy the film in Dolby Vision™ and Dolby Atmos.